Ministry of Cannabis - AutopilotXXL. Free US delivery. Autopilot XXL has been developed to bring the characters of MoC's Big Bud XXL into an auto-flowering form. 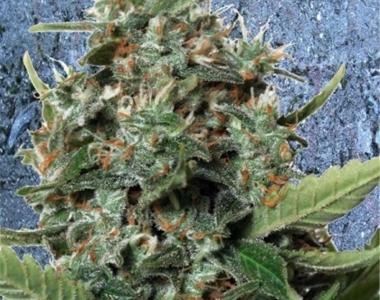 This strain is an indica dominant and has a bigger size and a flowering time of 60-65 days. Autopilot XXL is simple to grow and leads to a very generous harvest. This plant usually develops a big main bud together with a good number of buds on the side branches. The buds are pretty heavy for an auto-flowering, the aroma is musky with a final of parsley and pepper. The effect is as happy as her bigger sister. In outdoor it is possible to grow and harvest in every temperate period of the year, without having to wait for the autumn.